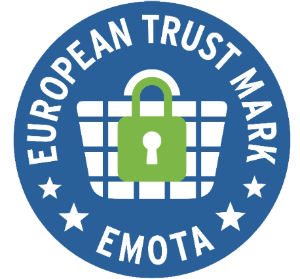 Padded inside, comfortable and soft for increased comfort around belly and chest. 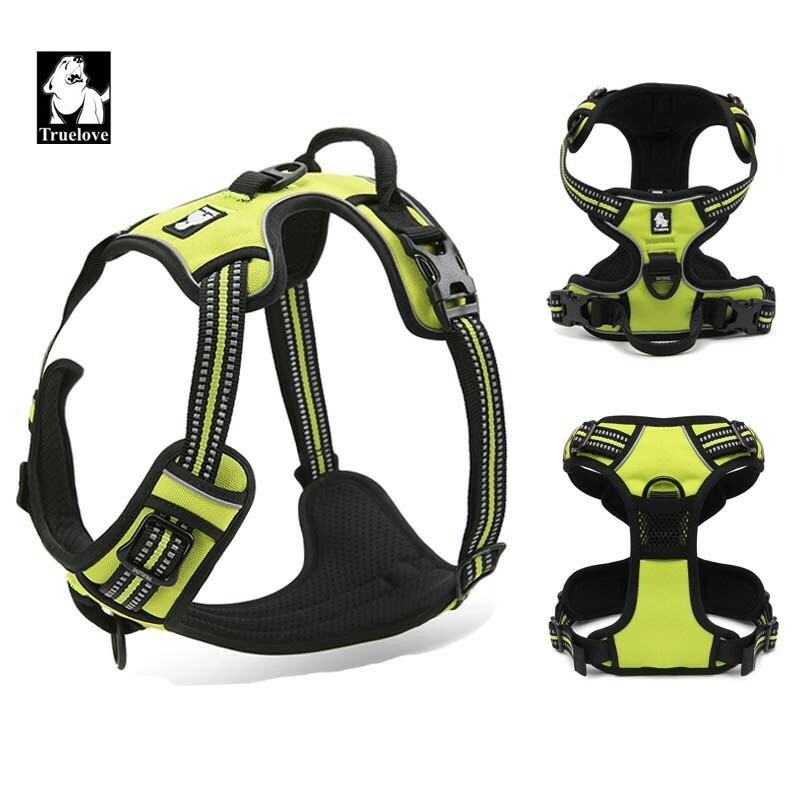 Straps with 3M Scotchlite reflective fabric to improve night-time visibility. 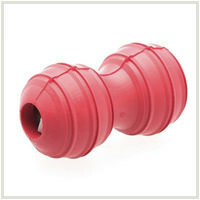 Duraflex clip. Duraflex clips are light closures with a high tension resistance: the closures are therefore not a weak point in the harness. 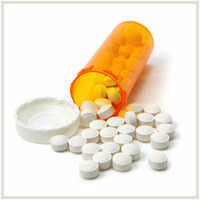 2 zinc alloy attachment rings: one O-shaped ring on the chest, and one D-shaped ring on the back. 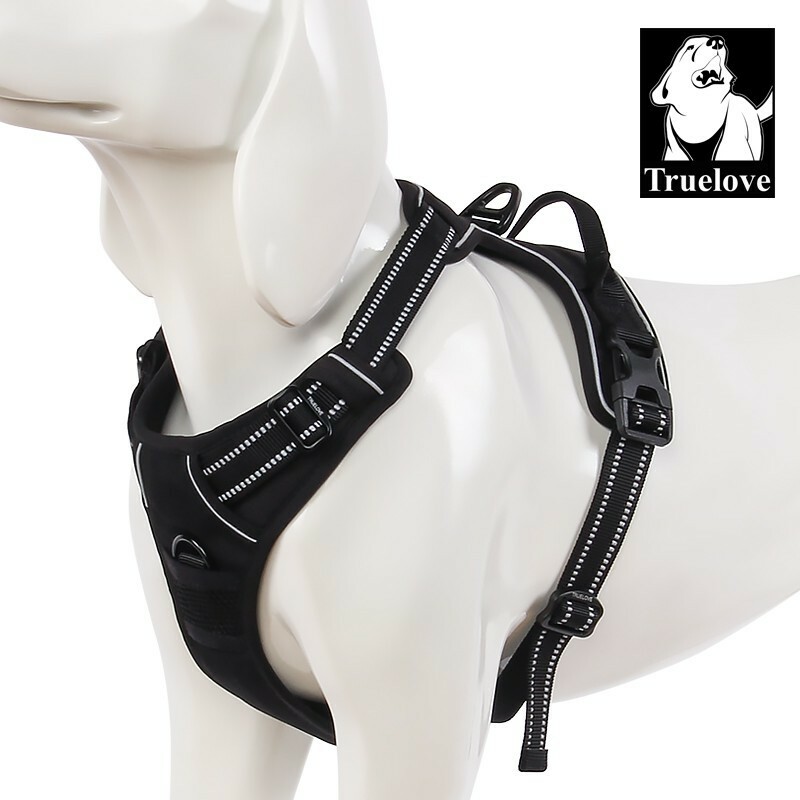 Ergonomic design: The True Love harness was designed so that it will not restrict your dog’s movements, especially in the shoulder and elbow areas. 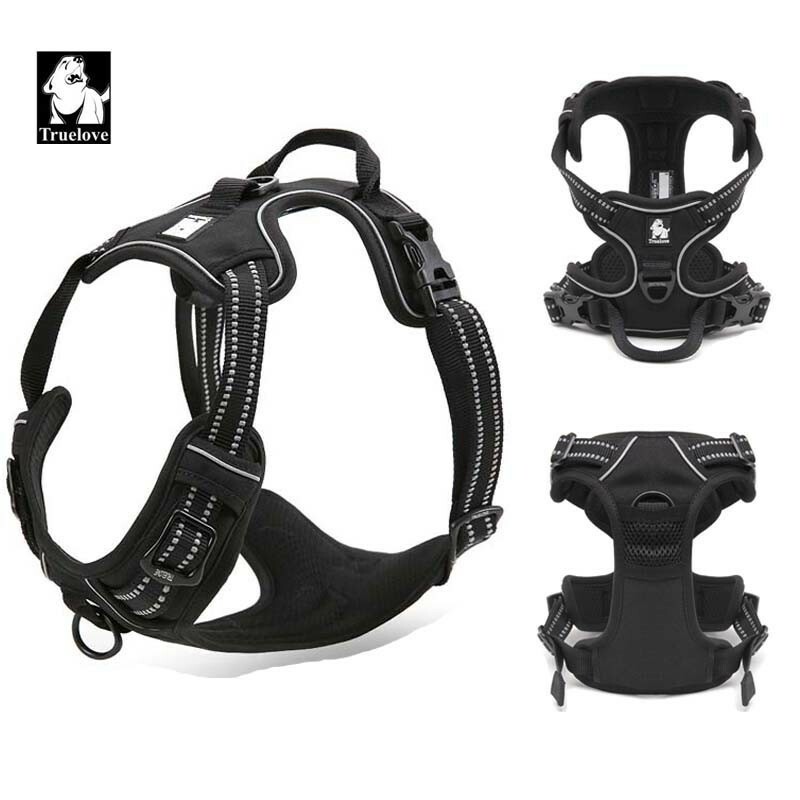 A handle on the top allows you to better control your dog in certain situations or help it get over obstacles, get into the car, etc. 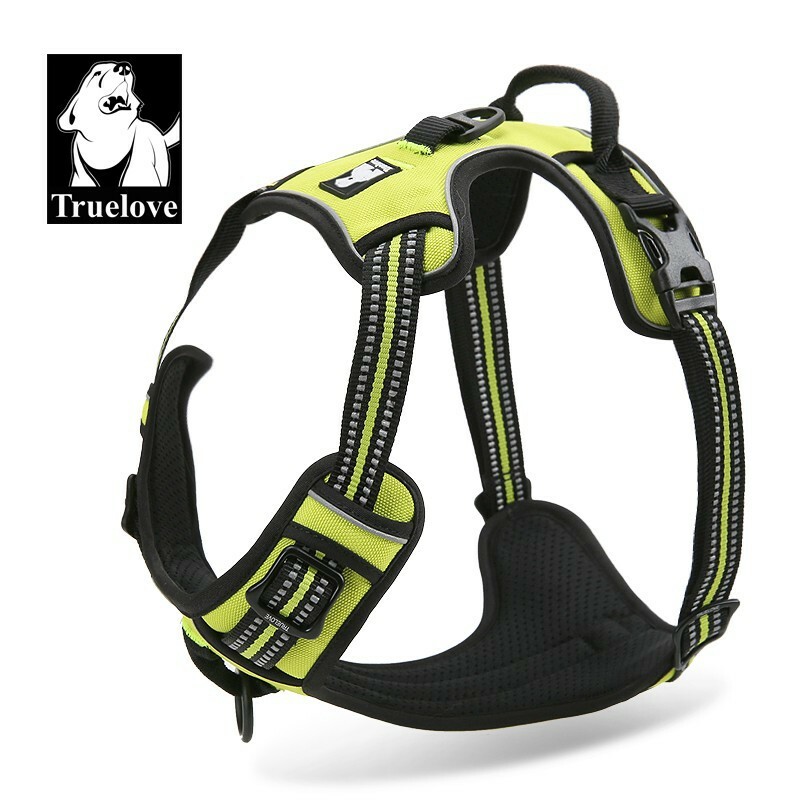 What size True Love no-pull harness does your dog need? 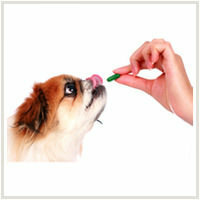 Start by measuring the circumference of your dog’s chest at the largest part of the rib cage. 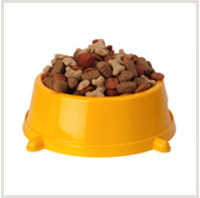 Measure your dog’s chest girth at the line indicated on the diagram. 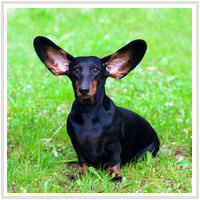 --> Tip: For a dog that is between 2 sizes, choose the larger size. 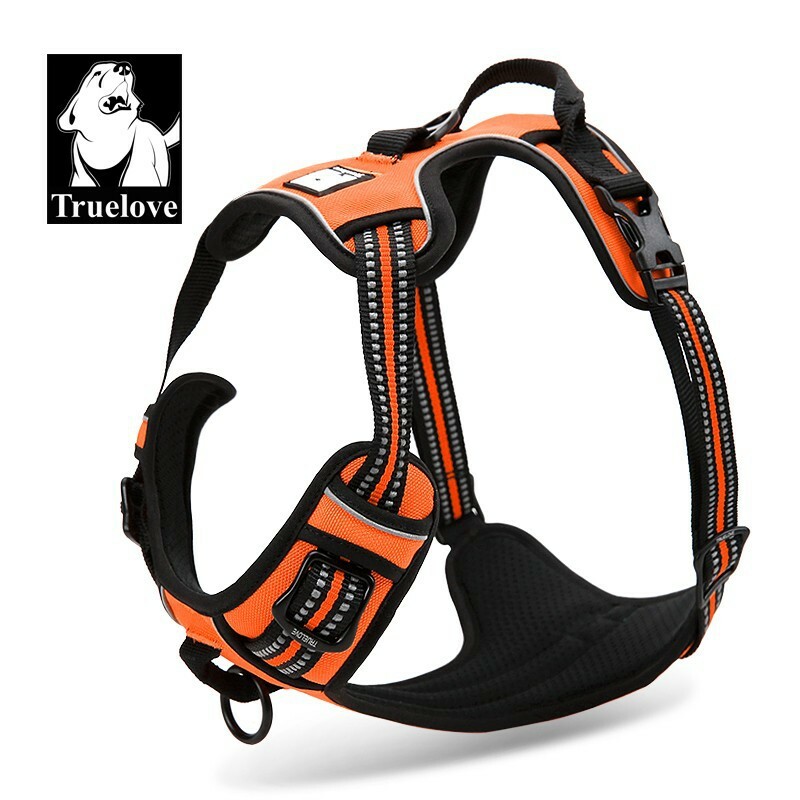 The True Love dog harness is ideal for gentle training methods. 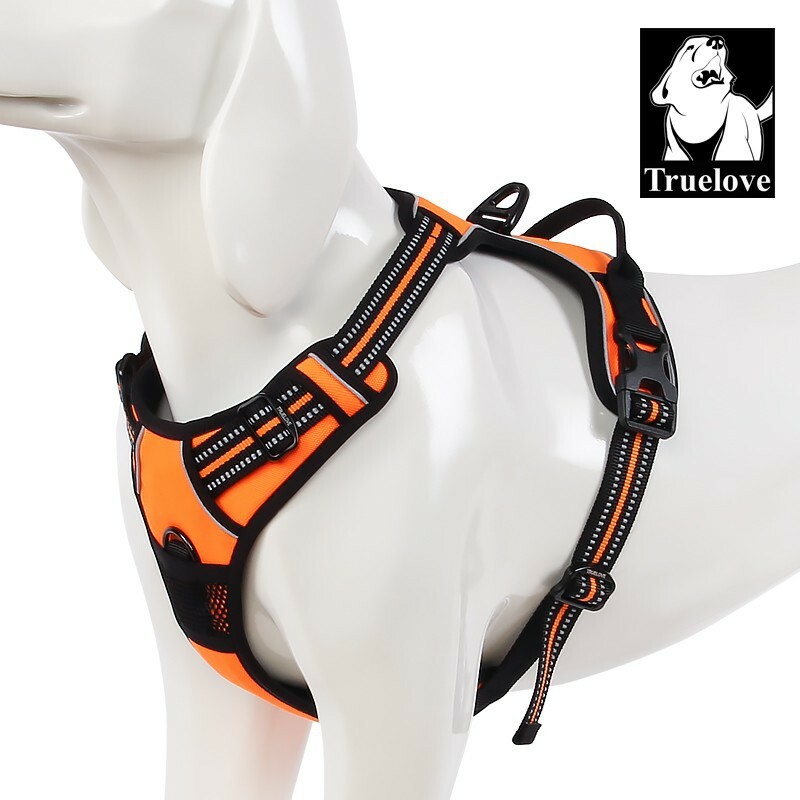 A high-quality harness at a good price, the ring on the chest will help you teach your dog to walk on the leash without pulling. 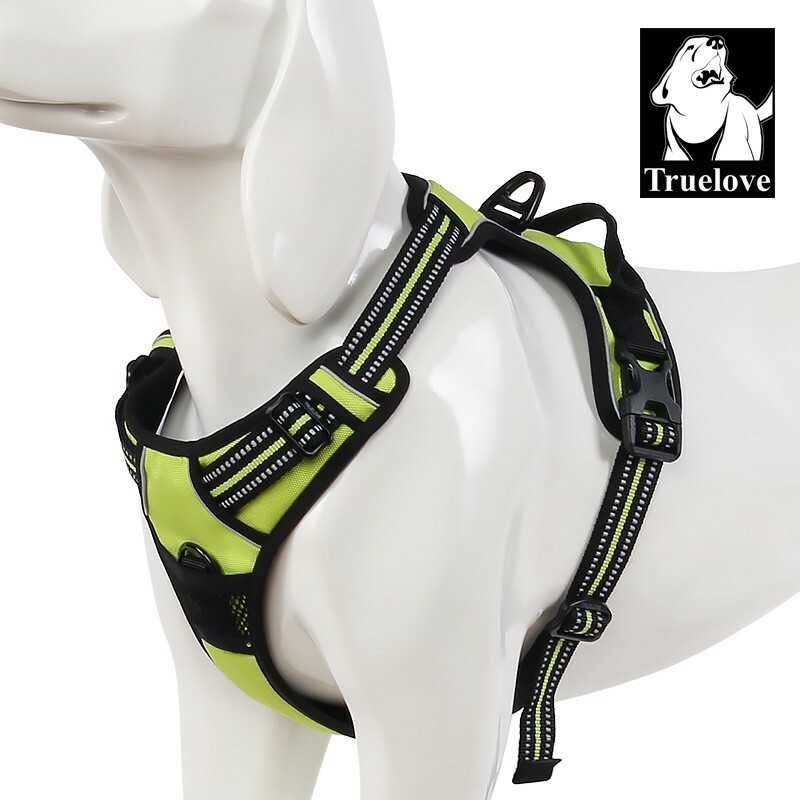 The ring on the chest will allow you to benefit from the “no-pull” effect: when your dog strains on the harness, it will turn back on itself and end up facing you, which means it can no longer go in the direction of whatever was attracting its attention. 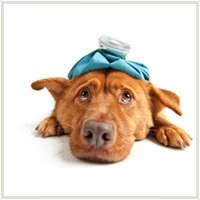 Your dog will quickly learn that pulling on the leash is useless! 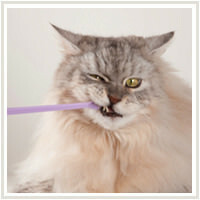 Beware of imitations! 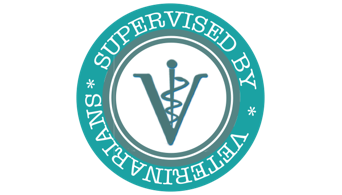 Direct-Vet is an authorised True Love distributor. 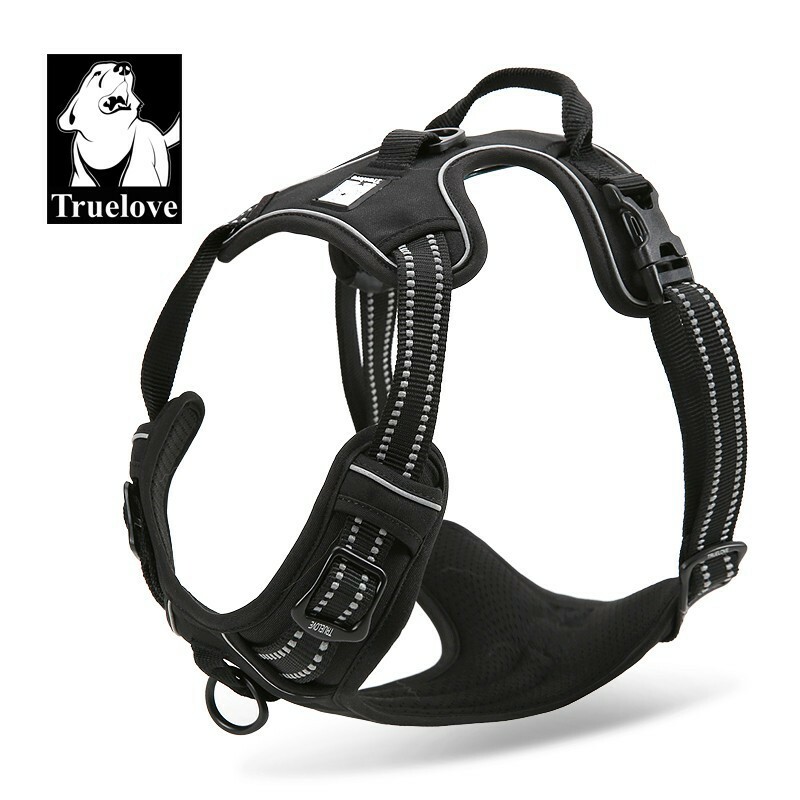 The True Love© brand is a registered Chinese trademark - its harness was patented in 2013. 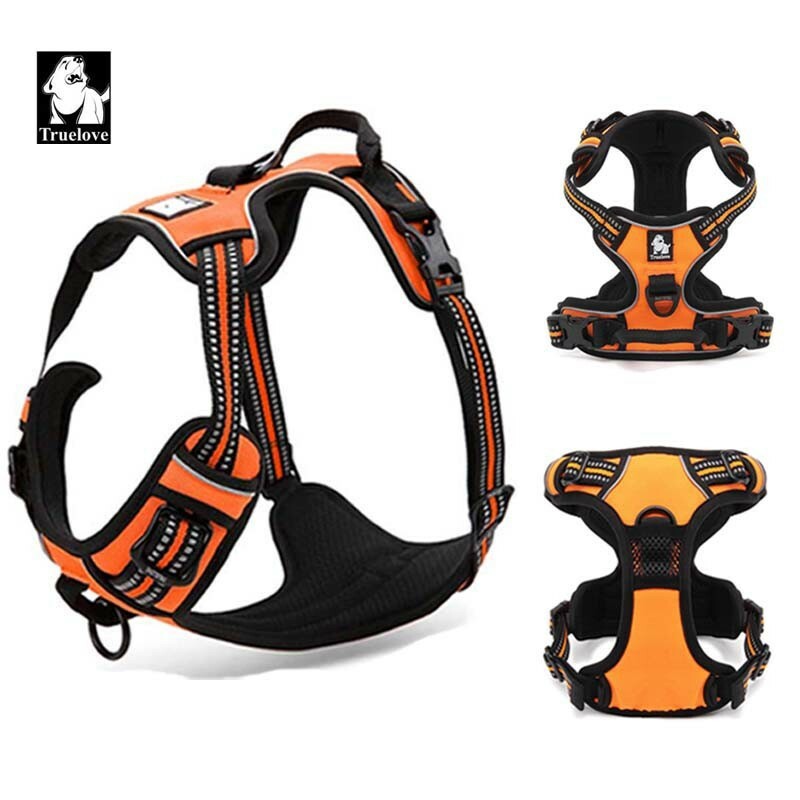 Some Chinese dealers sell imitations of these harnesses, but their quality is not the same (non-Duraflex rings, reflective fabric that is not made by 3M Scotchlite, etc. 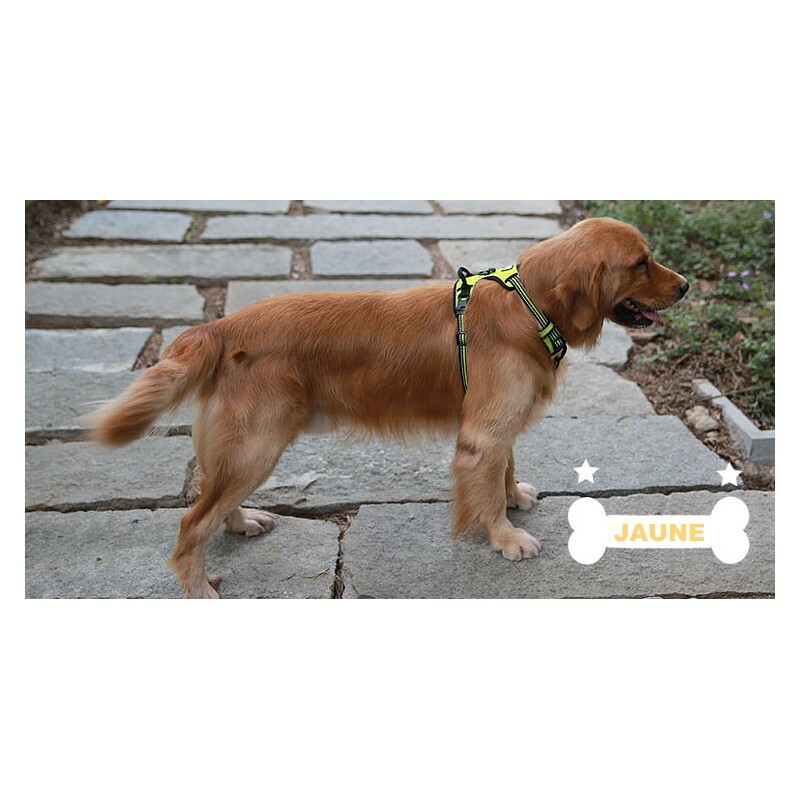 ), so be sure to only purchase your True Love harness from an authorised distributor.